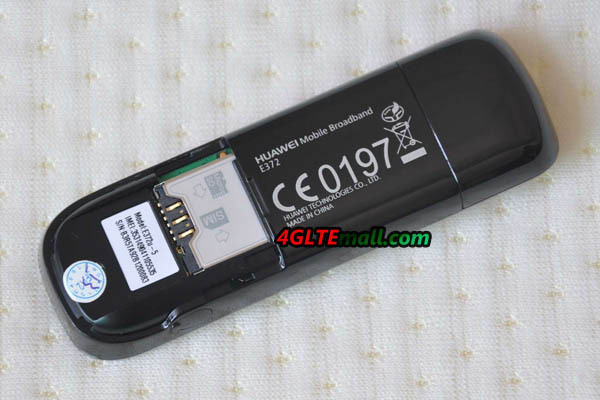 This HUAWEI E372 modem is the first device which works in Dual Carrier HSPA+. 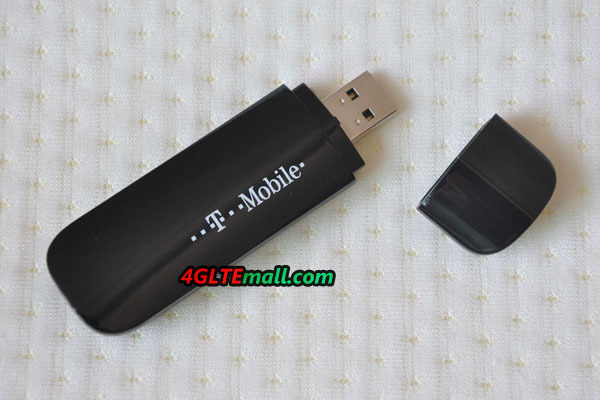 What can users benefit from this USB Stick and what are the features of the E372? Today, we will have a review of its details. Huawei is a well known and respected manufacturer for wireless 3G or 4G modems. This time we tested the instruments in the HSPA+ Dual Carrier. This technological innovation allows you to download data from the Internet at incredible 42 Mbit/s under certain mobile conditions. This rate is several times higher than most cable Internet connections in Europe and Asia! The HUAWEI modem E372 looks simple – like a typical device of this kind, wrapped up in a pretty case. Besides, the obvious SIM card slot is hidden at the bottom of the case. On the other side, you will find the plug socket for external antenna. The connector is TS-9. Another feature is a microSD card slot. When placed in the card, the modem can be used as a stick. HUAWEI E372 could work with qual-band UMTS 850/900/1900/2100MHz, which almost covers all the WCDMA networks all over the world. So HUAWEI E372 is one of the best 3G modem to roam around the world. This powerful function make E372 one of the most popular 3G dongle now only at the operators, but also the end users. The E372 stick can quickly be configured to work in almost all operating systems. This applies to both Windows version XP SP2, Vista and the latest Windows 7 and Linux. 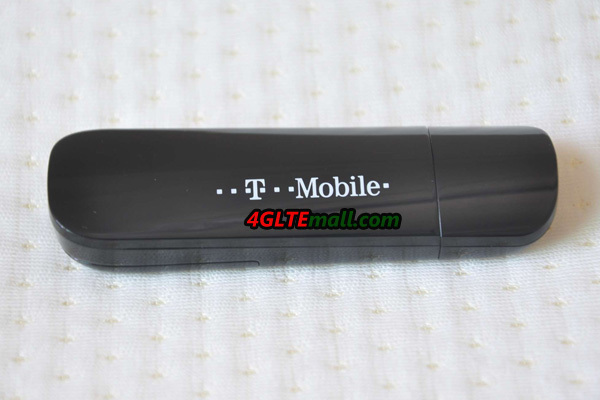 For T-mobile, it’s named Web Stick 42, which means it could support HSPA+ 42Mbps data rates. The installation process is extremely simple. Just put the modem into the USB port and wait for the auto installer application configure the connection. All drivers and instructions are loaded into the device into your computer, so users do not need to insert the CD-ROM drive. The entire installation takes a while and requires just a few click. After a while, we can enjoy the benefits of the Internet. The setup program will bring up information on the signal level and standard network connection. From the application, we can also monitor the data transfer and send SMS messages. Huawei E372 is a hell of a high-speed modem, so that we will be able to use the internet at speeds in many places exceeding the possibility of a cable network. It’s hard to believe, but the development of technology, mobile internet connection already allows it. Weighing 33 grams, HUAWEI E372 USB modem did not cause us any problems during the test, and the installation takes very short time. With the ability to connect an external antenna and use it as a portable storage, HUAWEI E372 is really a good partner for businessmen and tourist. 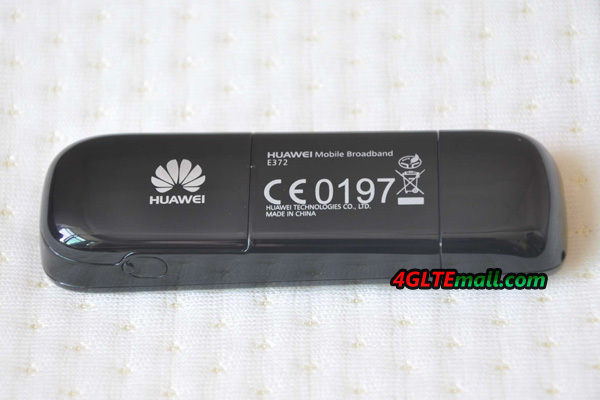 Here now HUAWEI has a new Hilink USB Stick which could also support DC-HSPA+ 42Mbps, the model number is HUAWEI E3251. It can auto connects in 5 seconds after plug in, no installation is needed. If you are interested in this new model, welcome to check on www.4gltemall.com .